The Oyada Shrine Autumn Color Festival is held from the beginning of November to the beginning of December and provides an opportunity to enjoy ritual music and famous foods such as gohei-mochi rice cakes and dengaku. 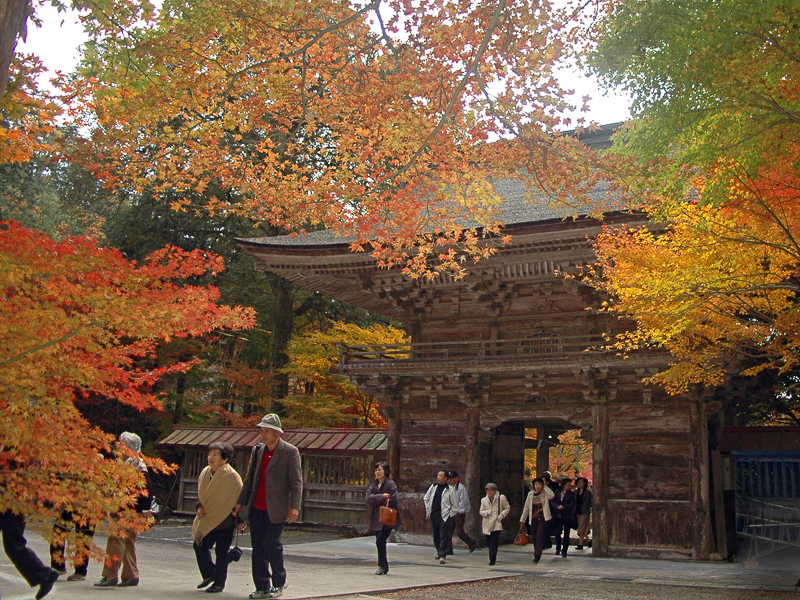 The Oyada Hinkoko Matsuri, a Nationally-selected Intangible Folk Cultural Property, is held in spring and autumn. This shrine, built in the Edo Period, makes wide use of brilliant statuary and flamboyant colored designs in the same manner as the Toshogu at Nikko, to make it the most exceptional and magnificent building in the city. Every part of the gorgeous main hall is adorned with skillful carvings and colors. 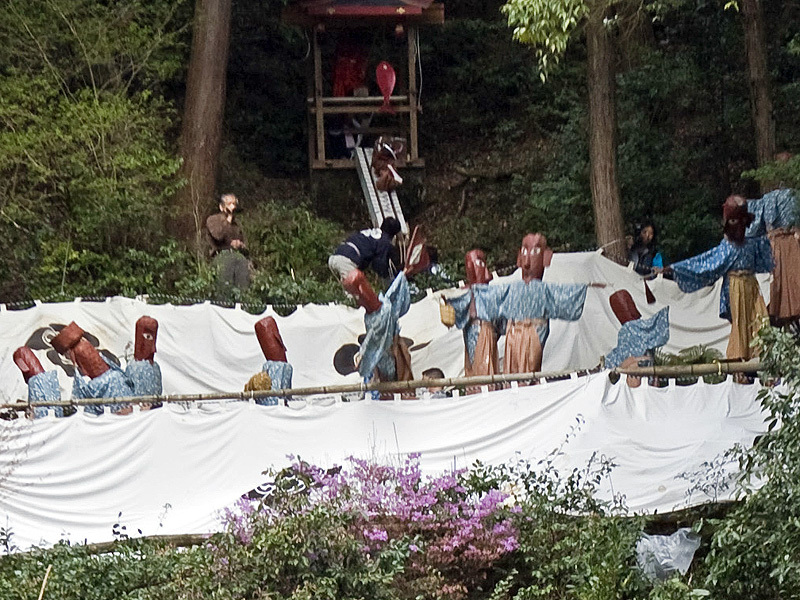 The decorated beams are supported by three rikishi. The resulting space has a hermit riding a crane on the eastern side, and on the western side, there is the beautiful carving of the incident between Choryo and Kosekiko in China. In the tabasami, we find pine trees and birds. Between each pillar there is a bird, the intervening shoji screens have a figure mounted on lions and peonies on the east, and, in the west, there are plums, oxen and a human figure. 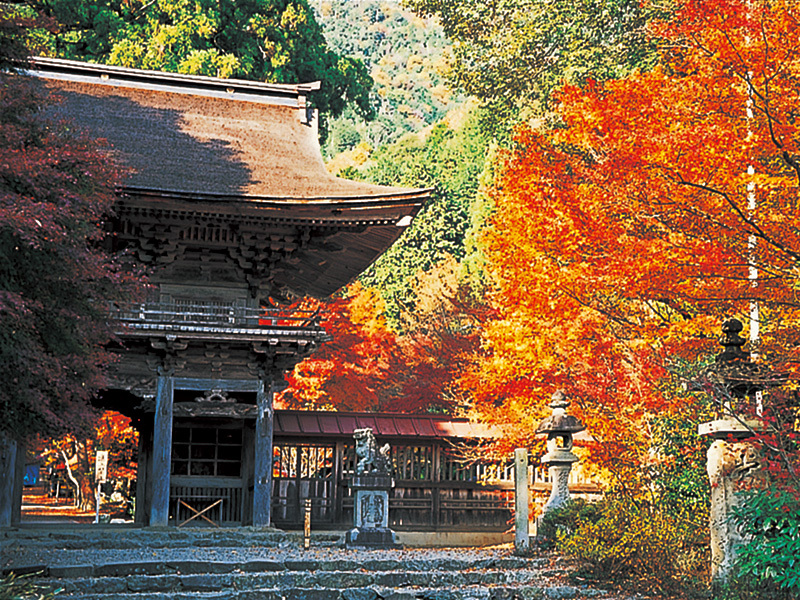 There are 3,000 mountain Japanese maples on the grounds, which makes this one of the most scenic places within the prefecture for viewing autumn leaves.